To book the entrance to Machu Picchu with a discount you must meet 3 requirements: be a university student, minor or citizen of the Andean Community of Nations (Peru, Colombia, Ecuador and Bolivia). Do you meet some of these requirements? Then you can get your ticket with a special discount. How much does the ticket Machu Picchu cost with a discount? Where can I book the ticket Machu Picchu with a discount? How to book the entrance to Machu Picchu? What discounts does the ticket Machu Picchu have? How to book the ticket Machu Picchu at a discount? What document to present the day of the visit to Machu Picchu? Machu Picchu Only 152 S/. 77 S/. 64 S/. 32 S/. Machu Picchu + Mountain 200 S/. 125 S/. 112 S/. 80 S/. Machu Picchu + Museum 174 S/. 88 S/. 86 S/. 43 S/. * Prices are in Peruvian soles (S /.). The first thing that every traveler to Machu Picchu should know is that there are two ways to get the ticket: The first one is paying personally in Cusco. The second is doing it online from an authorized agency. On the internet, there are several tourist agencies that offer the entrance to Machu Picchu. The official website is the Ministry of Culture of Peru. However, through the official website it is not possible to purchase discounted tickets for university students and minors. So, where to reserve the entrance to Machu Picchu with a discount? The only way is to do it personally in Cusco or with the website of a duly authorized agency. Today, more people choose to do it online. All authorized agencies that offer Machu Picchu entrance online charge an extra fee for their services. Booking a ticket Machu Picchu through the web is easy. You only have to fill in the personal information required in the ticket. Then, make the payment with a credit card (Visa, MasterCard), print the tickets and present them on the day of visiting the Wonder of the World. Choose the type of ticket Machu Picchu on the day and time you want to make your visit. Click on ‘Book now’ and complete the booking form with your personal information. After ‘submitting’ the personal information, send an email with a copy or digital photo of your passport or identity document. Make the payment as soon as possible through PayPal (accepts any type of Visa, MasterCard or American Express card). In less than 24 hours (48 hours on the weekend) you will receive your entry in your email inbox and in PDF format. You just have to print it and present it the day of your visit to Machu Picchu. Discount for university students: for students who are studying undergraduate studies, under 25 years old and who have the current university card. Discount for minors: for minors (from 8 to 17 years old) who have a passport or identity document that certifies their age. Discount for citizens of the Andean Community: for citizens of Peru, Colombia, Ecuador and Bolivia who have a passport, identity document or immigration card that certifies their nationality. People under the age of 8 enter FREE to Machu Picchu. They only have to show their passport or identity document and be accompanied by their father, mother or attorney. Complete the booking form with your personal information. In the ‘Type of document’ section, choose the university student card (if you are a university student). If you are a foreign citizen in Peru, Colombia, Ecuador or Bolivia, choose the option ‘Alien Registration’. After completing the reservation form, you must send the documents that justify the Machu Picchu ticket discount. Send an email with a legible digital photo or photograph of the current university card. Your personal information must be clear. Also, send your passport or identity document. Only then can you access the Machu Picchu entrance discount for students. Send an e-mail with a legible digital copy or photograph of the passport or identity document of the minor (between 8 and 17 years old). Ensure that names, age and other personal information are distinguished. If, in addition to being a minor, the child (or adolescent) is a citizen of the CAN, you can get an even higher discount. Send an email with a copy or digital photo of the passport or identity document that corroborates the visitor’s nationality (Peru, Colombia, Ecuador or Bolivia). Foreign residents in these countries must send the immigration card. If the visitors are university students or minors, they have access to an even greater benefit. After sending the documentation, it is only necessary to pay the discount ticket. Each agency manages its own means of payment. The most usual way to pay the Machu Picchu ticket is through PayPal. This payment method accepts Visa, MasterCard and American Express cards. To pay the entrance to Machu Picchu with PayPal, you only have to accept the payment invoice that you will receive in the inbox of your email. Once the payment is made, you will receive an email with the tickets in PDF format. You should only print them and present them on the day of your visit to the Wonder of the World. Children under 8 years old do not pay their entrance fee to Machu Picchu. To access, they only need to show an identity document that justifies their age. For both minors and children under 8, the income is accompanied by their parents or guardians. How do I buy a Machu Picchu ticket with a discount on the official website of the Ministry of Culture of Peru? The official website only accepts a discount for adult citizens of the CAN (Peru, Colombia, Ecuador and Bolivia). To make your reservation, just choose the type of ticket with the day and time of your preference. Fill in your personal information (including your nationality) and pay with a ‘Verified by Visa’ card. Where to buy the Machu Picchu ticket with university discount in Cusco? 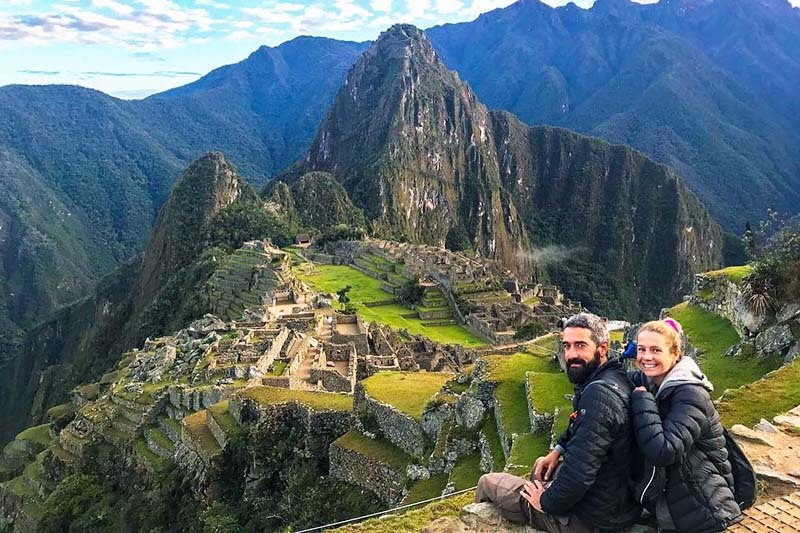 To acquire the Machu Picchu ticket at a discount in Cusco (Peru) you should only go to the authorized places of the Ministry of Culture of Peru and buy the ticket by presenting the university card or the identity document that justifies the discount. Garcilaso street s / n Cusco. Pachacutec Avenue s / n, Aguas Calientes (Cusco). Do seniors have a discount? No. Older adults pay the same price for the ‘adult’ Machu Picchu ticket. The reservation can be made online or in Cusco. Can I book the entrance to Machu Picchu with the ISIC card? No. The only valid document for the discount of the Machu Picchu ticket for students is the valid university card. The ISIC card is no longer valid. Do the citizens of Argentina or other South American countries have a discount? No. Citizens of Argentina, Brazil, Chile or other South American countries pay the ‘foreign’ price of the ticket. Only CAN citizens (Peru, Colombia, Ecuador and Bolivia) access the discount. Which agency that offers the Machu Picchu entrance on the internet to choose? On the internet there are several agencies that offer the Machu Picchu ticket at a discount. Choose one that is authorized by the Ministry of Culture of Peru and that offers an online security system to guarantee the privacy of your information. How much does the Machu Picchu entrance cost with a discount on ticketmachupicchu.com? All agencies charge an extra fee for offering Machu Picchu entrance at a discount. These are the prices on ticketmachupicchu.com.